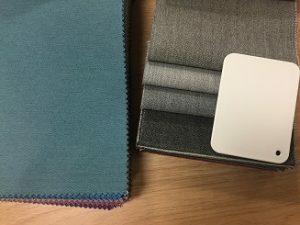 The Hugh Owen Library Refurbishment blog. I’m delighted to share the (almost!) final version of the new Level D layout. We are still tweaking the floor guide a little more but this gives you a good idea of the changes that will take place. Relocate the entrance to face the concourse. 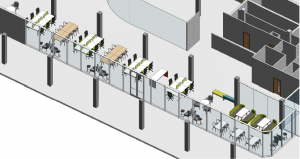 Create two new Group Study Rooms. Create more study and computing space. 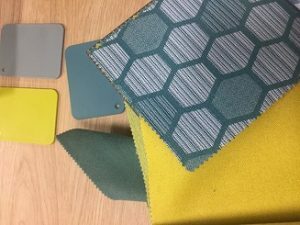 We have been busy selecting colours and fabrics for the furniture. 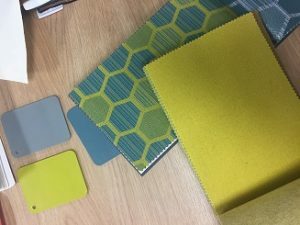 The project team attended a really productive ‘Colour Workshop’ with BOF Furniture in Bridgend. 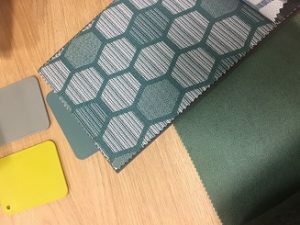 Below you will find images of the finishes, colours and patterns that our beautiful new Level D will be furnished with. 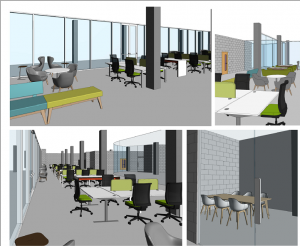 We are also excited to share some mock up images of what we imagine the space to look like. 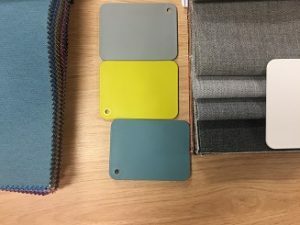 These images are courtesy of BOF Furniture – Bridgend Office. The contract for the building work will be awarded imminently and with less than three weeks to go before staff vacate Level D its getting very exciting. On behalf of the project team, we wish all our students who are sitting summer exams and submitting their assignments and dissertations the very best of luck! I really like the color scheme.